Independent fibre broadband companies’ approach of targeting homeowners’ associations to install their networks took Telkom by surprise, says an official. Fibre broadband providers are moving into suburbs such as Johannesburg to lay high-speed Internet networks that offer faster connectivity than Telkom’s ADSL technology. One such provider, Vumatel, connected upmarket suburb Parkhurst in 2014. Since then, six suburbs have given Vumatel the green light and by 2016 the company is targeting connecting 100 000 homes. Other companies such as Fibrehoods — which installs aerial fibre — and even mobile network MTN are also in big drives to connect suburbs with FTTH, or fibre-to-the-home technology. All of these providers win the majority backing from suburbs or homeowners’ associations to lay fibre. They then also lay down open-access networks, which allow customers to choose their own Internet service providers. 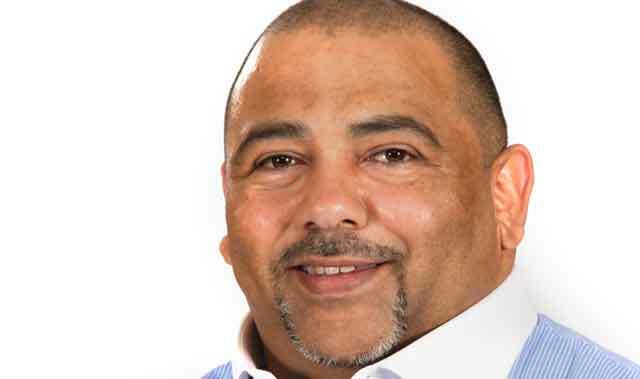 “I think it’s an interesting phenomenon that probably took us by surprise,” said Alphonzo Samuels, the MD for Telkom’s new wholesale broadband division Openserve. “Until Google came around with the model of getting people to almost do an auction type thing to get fibre, that model didn’t really exist — anywhere,” said Samuels. Search giant Google, since 2012, has been working on installing its 1Gbit/s fibre connections to areas in the US where enough people sign up to request the network builds. Nine US cities to date have since signed up for Google fibre. But Telkom also has its own fibre ambitions with its new division Openserve. Telkom launched Openserve on Tuesday as part of separating its wholesale and retail divisions. And Samuels, who has had a 32-year career at Telkom, outlined Openserve’s fibre plans which also involve rolling out open-access networks. “As Openserve, I haven’t just passed 200 homes or 2 000 homes, we have passed in excess of 37 000 homes with fibre,” Samuels said. “We’ve got a very very deliberate plan to be at 70 000 by the end of this fiscal year, to be at 400 000 in the next 12 months following that and then to be at one million. “The one big thing and the one big difference is that I’ve got a firm commitment from our board that we are exactly going to do that,” Samuels added. Samuels said that Openserve has the intention to connect entire suburbs, such as Bryanston, rather than just a few streets at a time. He said he’s also developed a plan to approach homeowners’ associations as part of Openserve’s fibre roll-out plans. “I want to be the best pipe provider; I want to be the best infrastructure provider; I want to do it at such a competitive price that I dissuade some of the other operators that want to build today to say as a country we can’t afford it,” Samuels said. Not anymore, clearly. They finally feel the pinch. Hope the smaller players in fibre country slowly take this giant in to a dark alley, and leave it gasping it for oxygen. Telkom just like Eskom should be split up into several parts and fully privatised. Anything happening will take Telkom by surprise. They have been doing nothing the last 5-10 years – no surprise there however, what happens when a monopoly takes over. All not entirely true, Telkom approached our neighbourhood association before any of its competition – And this was 18 months ago at the very start of FTTH. Telkom playing catch-up, now this is fun to see. Does not take much to take Telkom by surprise. They are 5 years behind everyone else in their way of thinking and operating. 5 years is a massive backlog in modern telecoms. By surprise? LOL!!!! No, you were to busy with strikes and BBEEEE of how many ever B’s and E’s it takes to actually notice that people are fed-up with your service and now you want to say “It took us by surprise?” Get a life! more like for the last 21 years. All they did was to keep competition out while giving crap service at exorbitant price. Seeing that Telkom Retail is “locked out” there won’t be anyone to sell the fibre. Telkom Retail is Openserve’s largest customer, so they better be treating Retail with kid gloves before Retail goes elsewhere for their services. This is an option now as well unfortunately for Openserve to consider. People also don’t really care whether the internet is delivered on fibre or copper actually, they just want service that is reliable and works!